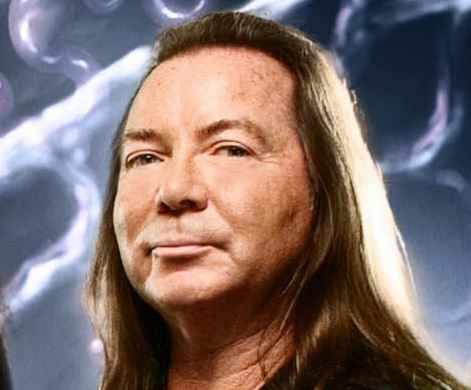 During a brand new interview with Chile's Radio Futuro, IRON MAIDEN guitarist Dave Murray was asked if there are any plans for the band to return to the studio to begin work on material for the follow-up to 2010's "The Final Frontier". "We've been out on tour quite a few months this year," Dave explained. "So when we finish, we're actually going to go and head back and take a break, really." He continued: "We haven't got any plans, as such, really, what's gonna happen next year. Basically, we're just gonna wait and see. [laughs] But there's things that are going on in the meantime. I mean, we just had a beer come out — it's like the Trooper beer — and that's actually doing really well. So we'll just let the Trooper beer go on tour for us. [laughs] And then we're just gonna spend some time off recuperating. So I'm not quite sure what's gonna be happening next year. It's all up in the air." IRON MAIDEN last month landed at position No. 1 on Billboard.com's "Hot Tours" list of top-grossing tours with $8.5 million in ticket sales from six performances on their summer tour of Europe. The shows were attended by a total of 121,280 fans, including a two-night, sold-out stand on August 3-4 at the O2 Arena in Lonon, England, where the band played to 27,000 fans. With totals added from this summer's Europe dates, overall ticket sales from the tour top $42 million from 45 reported concerts. MAIDEN's 15th studio CD, "The Final Frontier", featured 10 tracks that had an average running time of seven minutes and 40 seconds, with the shortest song, "The Alchemist", clocking in at four minutes and 29 seconds, and the longest, "When The Wild Wind Blows", lasting ten minutes and 59 seconds.